Polish slip-ups can happen but not with the Sally Hansen Big Polish Guards Cuticle Protectors. They’re the newest innovation in at-home manicures. Just wrap your cuticles, paint on color and then peel away any mishaps. This means each hand (yes, both) will get the same, flawless results. It’s really that simple. 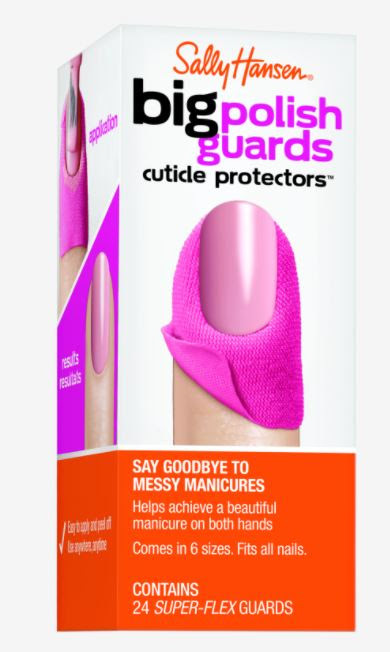 Big Polish Guards Cuticle Protectors give you the freedom to paint your nails at home, mess-free. Retails for $5.99.